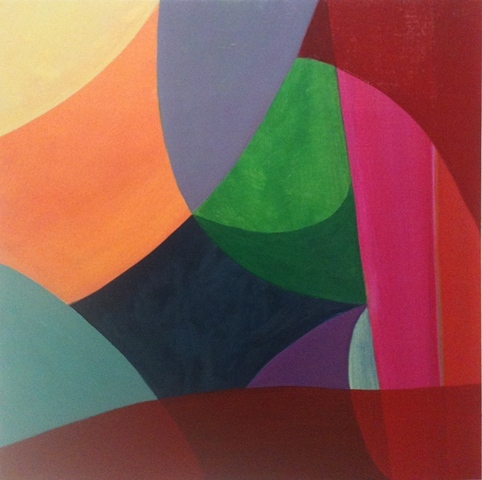 Susan Ross' paintings elicit rhythmic contemplative spaces through the lyrical interplay of color, shape and light. She received her BFA from the School of the Art Institute of Chicago, MFA from Pratt Institute and studied painting and art history at Lorenzo de Medici Art Institute in Florence, Italy. She has received artist grants from the Puffin Foundation and the Chicago Department of Cultural Affairs. Susan Ross has exhibited her work in the Northeast, Midwest and Italy. Her work has recently been shown in NYC in group shows at Denise Bibro Fine Art and A.I.R. Gallery and in a two-person show at The Painting Center. Collaborating with Melissa Staiger in 2009, Susan Ross co-curated and moderated an artist panel for Patterns of Growth at NurtureART Gallery in Brooklyn, NY. In 2010, they co-curated Source, an exhibition featuring seven abstract painters, sponsored by PowerHouse Projects at the CUNY Center for Worker Education, and organized an online interview with the artists conducted by Rossana Martínez.